Microcontroller can be categorized on the basis of architecture and service providers. 1) Havard Architecture: In Havard architecture separate storage and signal buses are provided for different set of instructions and data. This architecture has the entire data storage within the CPU and there is no access available for instruction storage as data. This architecture provides simultaneous access to an instructions and data stored inside internal buses of microcontroller. 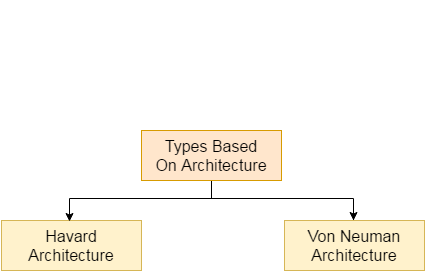 2) Von Neumann Architecture: This architecture of microcontroller was proposed by scientist John Von Neumann. In this architecture for both instruction and data a single data path or bus is present. Therefore the CPU performs a single operation at a time. It either performs Read/Write operation on data, or fetches a set of instruction from memory. Hence instruction fetch and a data transfer operation cannot occur simultaneously by using a common bus. 1) AVR: AVR microcontroller is developed by Atmel service provider, AVR architecture is based on the Harvard architecture. 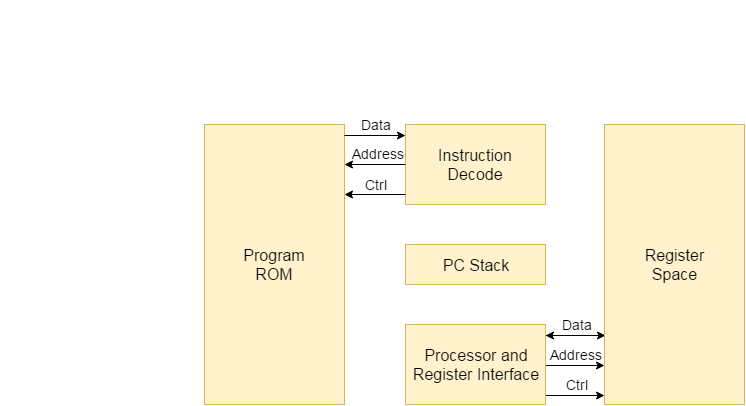 It is based on Reduced Instruction Set Computers(RISC). AVR is not an acronym it is just a name given to the RISC architecture based microcontroller. 2) PIC: PIC microcontroller is also a Harvard architecture based controller. PIC is an acronym stands for "Peripheral Interface Controller". This type of microcontroller supports programming in C, Assembly and BASIC C.
3) Hitachi: Hitachi microcontroller belongs to H8 family of the controller. H8 is name used in large family of 8-bit, 16-bit and 32-bit microcontroller developed by Renesas Technology, founded in an early 1990s within Hitachi semiconductors. 4) Motorola: Motorola microcontroller is highly integrated microcontroller that is used for high-performance data manipulation operation. This microcontroller unit uses a System Integration Module (SIM), Time Processing Unit (TPU) and Queued Serial Module(QSM).